[New York, NY – June 6, 2018] Following the debut of his official video for “Dazed & Confused,” which had PAPER Magazine praising it for its “million-dollar chorus” and “slow-burning beat sure to lodge itself in your prefrontal cortex,” and TIME Magazine drawing comparisons “in the vein of Purpose-era Justin Bieber’s most mature and earworm-ready hits,” adding “Dazed and Confused” stands apart by drawing on blues and R&B for added depth,” Ruel has followed up today with another soul-pop-gem titled “Younger” – out today. “Younger” is available now on all digital platforms, listen to it HERE. 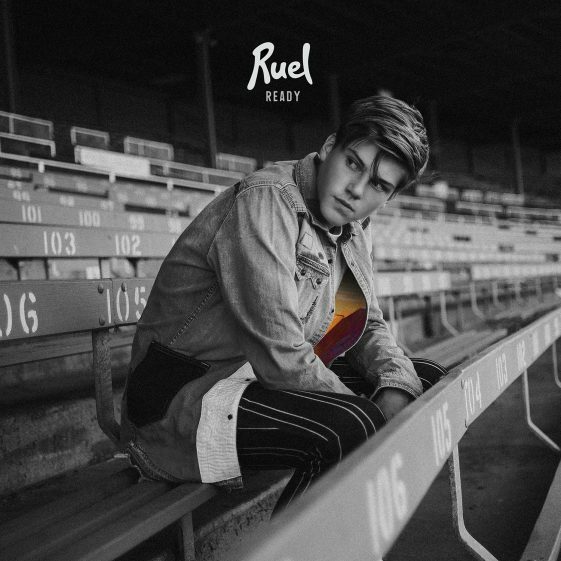 “Younger” was executive produced by Ruel’s good friend, mentor and collaborator M-Phazes (Eminem, Logic, Kimbra, Zara Larsson, KYLE), the man behind Ruel’s forthcoming EP and previous singles “Don’t Tell Me” and the debut smash “Golden Years,” the READY EP is available now to PRE-ORDER HERE. Compared to the likes of Frank Ocean and James Blake by NYLON Magazine, 15-year-old London born, Australian raised artist was introduced to soul, blues, and jazz by his music-loving father, and counts Stevie Wonder, Dave Brubeck and Amy Winehouse as major musical influences growing up. “Younger” is out now worldwide. Ruel’s READY EP drops worldwide on June 15th via RCA Records.